Community Quilt – We are – Roots on the Roof! 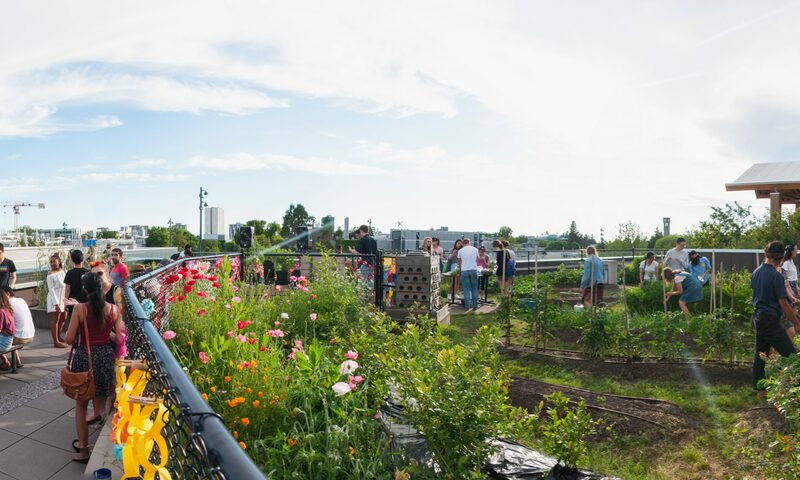 While knitting and crocheting may seem like tangents to the assumed on-goings of a rooftop garden, the Community Quilt Project was an endeavour that sought to reimagine the possibilities of a garden space. 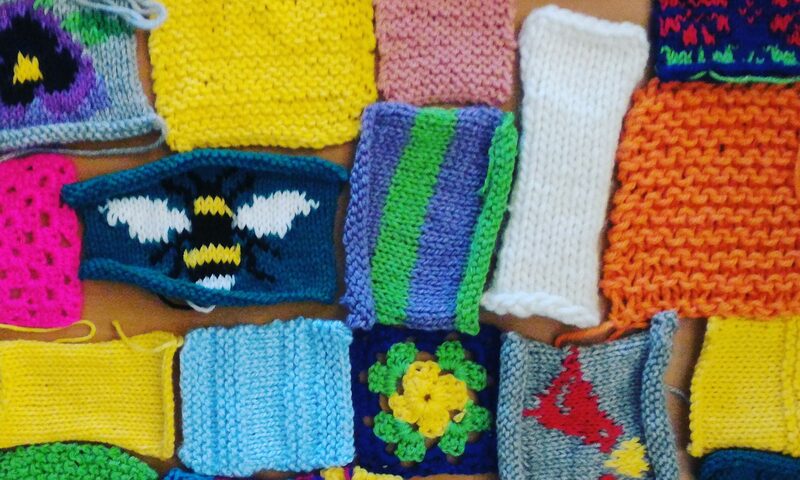 In spring 2017, two talented individuals from the community were approached to spearhead a project that would share their expertise using yarn as a medium for “artivism”. The Community Quilt Project borrowed ideas from “yarn bombing”, to engage on-lookers with re-creations and re-claimations of everyday spaces by the common person. The two community members spearheaded a series of knitting/crocheting workshops with the student body where attendees would learn to make a patch to contribute to the community quilt. Contributions were made by various community members (such as family members and other clubs) and the quilt was installed in May 2017. Perhaps the most poignant part of the project was how the physicality of the quilt represented the community that had made it; with patch pieces of varying patterns, shapes and colours, all stitched together into one cohesive art piece. Today, the Community Quilt Project lives on as part of the garden gate door, opening its arms to whoever wishes to join the community.